Here are some views of the monastery gardens at Tinh Xa Ngoc Huong on Le Van Huu street in the old part of Hue. 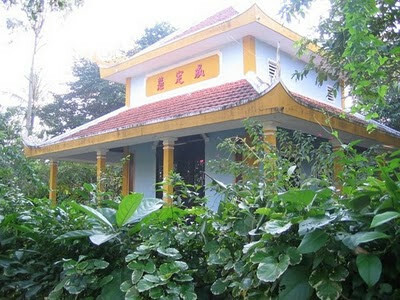 The monastery is rather idylically located on one of the old imperial islands, and I believe that it was once the site of the Empress' library. The Tinh Xa is a temple of the Tang Gia Khat Si, the indigenous order of Vietnamese Buddhism. 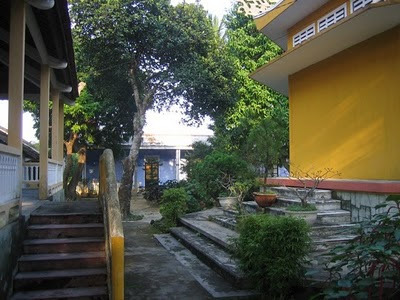 It is quite small and run-down, and only houses a handful of monks. 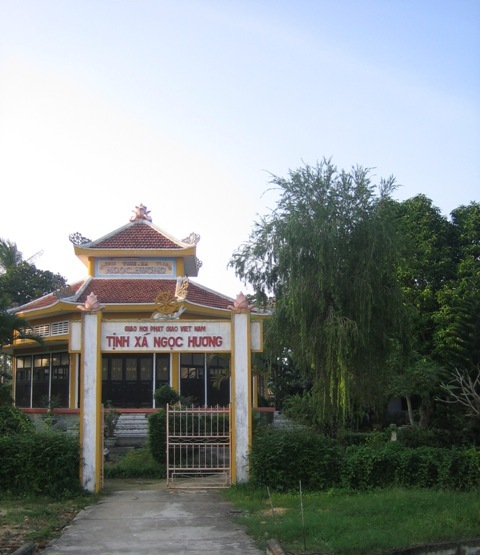 On the next street up is another Tinh Xa belonging to the nun's order, and this is much larger, more modern and well-kept. 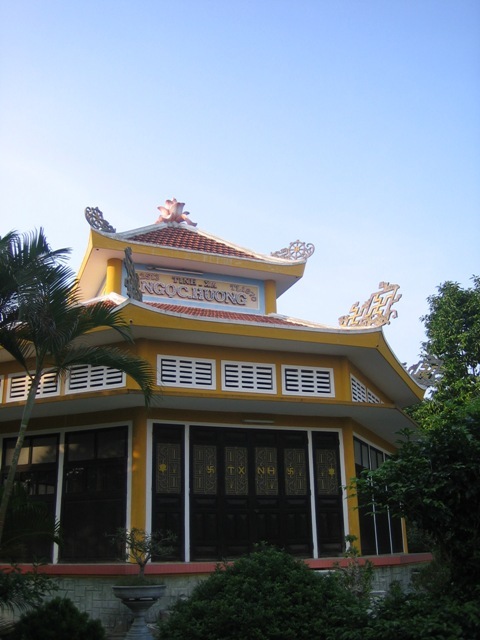 But I love the down-at-heel charm of Tinh Xa Ngoc Huong, which is frequently closed, and can only be accessed via a long and somewhat perilous concrete footbridge.